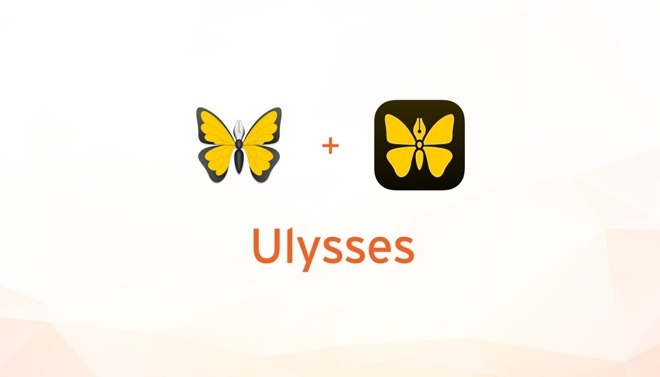 Effective immediately, writing tool Ulysses is switching to a subscription model after having been a paid app for iOS and macOS since launch. Rather than separate purchases offered for the last 14 years of the program's life, the Ulysses developers are offering a $4.99 per month, or $39.99 per year subscription for use of both the macOS app and iOS version. Students can use the apps for $11.99 for a six month period. Previous purchasers of Ulysses get a lifetime discount on the yearly plan. While the developers are citing a 50 percent discount on the monthly plan, the plan for previous purchasers is $29.99 —a 25 percent discount when compared to the annual plan. Recent purchasers get a free-use period of 18 months, depending on purchase location, and when the title was bought. However, there is currently a back-and-forth with the developers, with the developer noting that recent purchasers can get either the free period, or the lifetime discount —for now. There's been some confusion about the free-use vs. lifetime discount for existing users. It's either one or the other for now. The previous single-purchase versions have been removed from sale. The last update to the app added High Sierra and iOS 11 compatibility —but also now have a splash-screen ad at launch promoting the subscription version. New features to the app will be added only to the subscription version. No guarantees are being made about long-term compatibility with future versions of Apple's operating systems. In a post on Medium, developer Max Seelemann discussed the rationale behind the shift. Seelemann claims that the developer team has been considering the shift for two years, and it was the "hardest decision in our whole time as professional software developers." Ulysses is included in MacPaw's Setapp subscription service. Setapp costs $9.99 per month —twice what Ulysses costs alone on a month-to-month basis, but includes far more apps than just the writing tool. An update for the Setapp version is coming in the next few weeks to unlock the iOS version as well. AppleInsider examined Ulysses in December, and found it to be better for lots of short writing, with competitive product Scrivener better for long-form books and other materials.